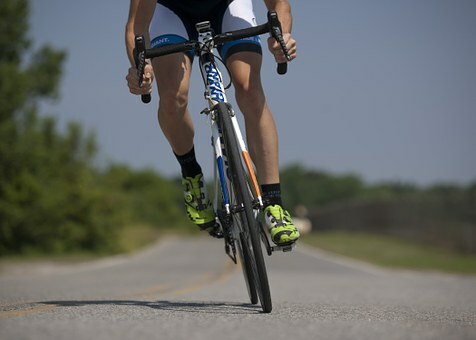 The Risks and Rewards of Exercising After LASIK | John Frangie, M.D. Thinking about getting LASIK surgery to correct your vision? There are countless benefits to doing so, but it is important to follow up your procedure with proper post-operative care. If you’re a fan of staying fit, then surgery of any kind can pose big challenges. Of course, eye surgery is notably different from most other procedures, but it’s still wise to tread cautiously so that you safeguard your newly acquired awesome vision. Here are some tips on adhering to your routine and resuming exercise and other normal activities after LASIK so that a seasonal slump doesn’t make it harder to get back into the swing of things later. Keeping your eyes dry is a primary concern for any LASIK patient. In addition to recommending that you stay out of the pool, hot tub or sauna for a while, the National Institute of Health advises that you avoid contact sports and other risky activities for at least one week. It’s important to consult with your care provider before resuming these forms of exercise. Ophthalmologists also say that environmental moisture isn’t the only threat to a successful recovery. Activities that make you sweat heavily and cause liquid to drip into your eyes can result in serious irritation. Even worse, if you rub your eyes, you may displace the still-healing LASIK flap. Even if you aren’t working out so hard that you start crying or sweating excessively, some activities may cause excessive stresses that interrupt the healing process. For example, individuals who lift heavy weights or perform calisthenics exercises that involve inversions may experience ocular pain. In such cases, they should stop working out immediately and consult with their doctors. When Can You Start Hitting the Gym? Some practitioners advise that you wait at least two days before exercising again. In addition, you should don protective eyewear anytime you plan on participating in physical activity. While this is obviously a good idea if you’re playing rough-and-tumble contact sports, it’s important not to overlook the need for eye protection when you’re doing seemingly casual things. For instance, if you go for a walk or a light jog outside, you may encounter dust, intense sunshine and other environmental hazards that prompt scarring or other forms of injury. Remember that these are just general rules. You should always err on the side of caution. Before your surgery, ask your caregiver about their personalized recommendations for how to make a healthy recovery from LASIK. Getting back into exercise after LASIK isn’t a huge challenge as long as you’re careful and willing to take things slowly. For more helpful insights about post-LASIK life or if you think you may be a good candidate for LASIK, get in touch with the John Frangie, M.D. ophthalmology team today.